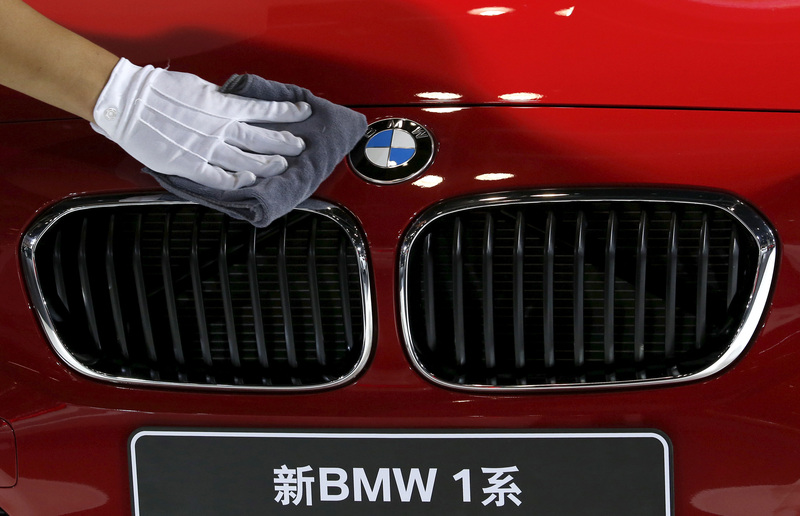 Photo of member of staff cleaning the bonnet of BMW 118i car during the Imported Auto Expo in Beijing, China, September 24, 2015. BMW on March 20 said it expected group pre-tax profit to fall more than 10 percent in 2019. The company also announced a 12 billion euro savings-and-efficiency plan to help offset higher technology investment currency costs. The Munich-based carmaker’s revenue in 2018 was 97.5 billion euros – 0.8 percent lower than in 2017. Operating profit fell 7.9 percent to 9.1 billion euros. BMW shares were down 5.4 percent to 71.62 euros at 1319 GMT on March 20. Daimler shares were down 2.1 percent to 51.77 euros.